The Strad is a monthly magazine dedicated to the world of musicians, especially classical music, featuring violins and violists. 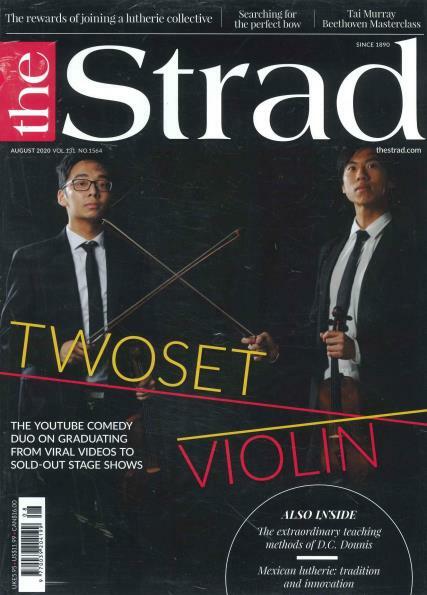 Buy a single issue or subscription to The Strad magazine. Every month, the Strad brings to you the essentials of the world of stringed music. It is packed with features, analysis and comments on topics related to classical music, dedicated to all the students, teachers, instrument makers and the enthusiasts of music. It brings to you information about violins, the latest techniques and the different practices. The magazine also brings you information about the various musical events taking place across the globe. The Strad tells you about the other facets of modern music, getting you information about the various bands like Beatles, and the various music artists who have left an impression in the musical arena. For every musical enthusiast, this magazine is your little bible. This is your chance to buy a copy of the magazine or buy a subscription to follow the content of the magazine, to enjoy everything that the Strad has to offer.